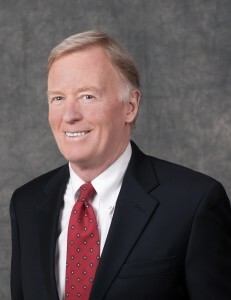 Ray Tiernan has extensive experience representing banks, savings institutions, bank holding companies and savings and loan holding companies in a wide range of corporate, finance, securities transactions, mergers and acquisitions, and regulatory compliance matters. For more than 35 years, Ray has represented financial institution clients before federal and state regulatory agencies, including the Federal Reserve, OCC, FDIC, OTS and SEC. Mr. Tiernan has assisted hundreds of mutual institutions convert to stock form with offerings ranging in size of less than $10 million to more than $1 billion. In recent years, he has assisted numerous financial institutions raise capital through secondary offerings, both public and private, and debt financings. Ray also advises clients on corporate governance, executive compensation and benefit matters. For many years, Ray has participated in national and state banking conferences as a speaker covering topics ranging from regulatory and legislative developments which affect the banking industry to developments in and market conditions for capital raising and mergers and acquisitions. Early in his career, Ray served as General Counsel to the American Council of State Savings Association Supervisors. Mr. Tiernan also served as an attorney for the Federal Home Loan Bank Board, the predecessor to the Office of Thrift Supervision. Ray is a graduate of Brown University and the Catholic University of America School of Law. Ray is married and has four adult children. Assisted in representing Prudential Bancorp, Inc., Philadelphia, Pennsylvania, in its second step conversion and $71 million public offering. Assisted in representing Continental Bank Holdings, Inc., Plymouth Meeting, Pennsylvania in connection with its pending acquisition by Bryn Mawr Bank Corporation in an aggregate deal value of approximately $110 million. Assisted in representing Keefe, Bruyette & Woods, Inc. (a Stifel Financial Corp. company), RBC Capital Markets and Sandler O’Neill & Partners, L.P., as underwriters’ counsel in connection with a $2.2 billion common stock offering by Investors Bancorp, Inc. in connection with its second step conversion. Assisted in representing Northwestern Bancorp, Inc. Traverse City, Michigan in connection with its pending acquisition by Chemical Financial Corporation in a cash transaction valued at $120 million. Assisted in representing Home Bancorp, Inc., Lafayette, Louisiana in connection with its acquisition of Britton & Koontz Capital Corporation resulting in an aggregate deal value of $35 million.